Cozy Chicks: Have A Yummy Halloween! Hi, Duffy Brown here and I just love Halloween! It’s so much fun for everyone! 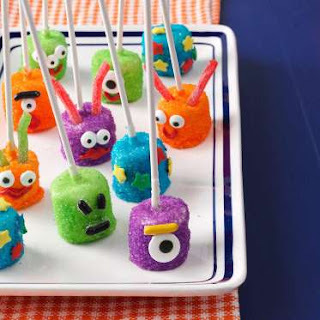 Here are a few yummy recipes to suit the occasion that look like a blast to make and eat for kids and adults. Thought I’d share some with you all. Let me know if you make them. Happy Halloween! 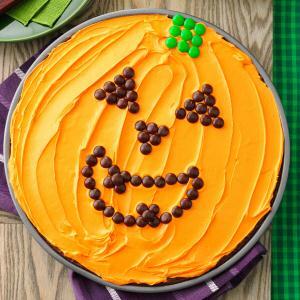 bake brownie batter in a pizza pan, spread with orange-tinted frosting and design a pumpkin stem and jack-o'-lantern face using candy. Preheat oven to 350°. Prepare brownie for fudgelike brownies. Spread on a greased 12-in. pizza pan to within 1 in. of edges. Bake 20-25 minutes or until a toothpick inserted in center comes out clean. Cool completely in pan on a wire rack. Tint frosting orange; frost brownie. For stem, arrange green M&M's in a square pattern at top of pumpkin. Use 10 brown M&M's in a triangle eyes, and nose. Remaining M&M's for a mouth. Yield: 16 servings. Spooky Spider Cupcakes are creepy—and easy! 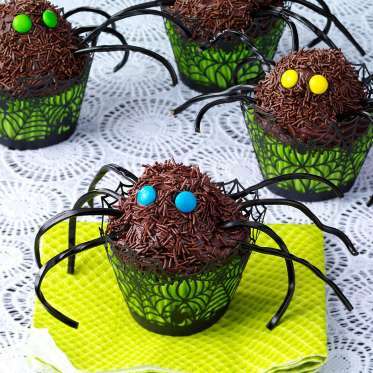 Make a chocolate cupcake into a spider by adding a half-marshmallow "body" under the frosting, licorice legs and mini M&M eyes. Add chocolate sprinkles for a "hairy" effect. In a microwave, melt candy coating and shortening; stir until smooth. If desired, tint with food coloring. · Insert one lollipop stick into each marshmallow. Dip marshmallows in melted candy coating, turning to coat; allow excess to drip off. Roll in colored sugar. 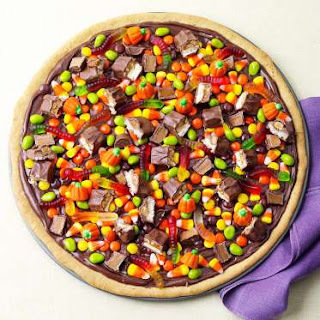 Place a dab of melted candy coating onto assorted toppings; decorate faces as desired. Place on waxed paper; let stand until set. Yield: 3 dozen. Let dough stand at room temperature for 5-10 minutes to soften. Press onto an ungreased 14-in. pizza pan. Bake at 350° for 18-22 minutes or until deep golden brown. Cool on pan on a wire rack. Coarsely chop large candies; set aside. In a microwave, melt chocolate chips and peanut butter; stir until smooth. Spread over crust; top with candies. Refrigerate, covered, until chocolate mixture is set. Cut into wedges. Yield: 16 slices.